Engagement is top-of-mind for most membership organisations. Engaged members are happy members, who participate in your programmes, advance your profession and contribute financially to keep your organisation moving forward. For many organisations, engagement begins with events – where your members meet to share ideas, network and learn from one another. Organisations around the world are successfully using mobile event apps to improve member engagement and increase revenue. This seminar highlights how some of these membership bodies have driven real results through an event app and continue to engage their members year-round. What can a mobile event app help you to achieve? Whether your organisation hosts one annual conference or multiple events throughout the year – and regardless of whether you have a large or small staff – you can leverage an event app to substantially increase and grow your member engagement. 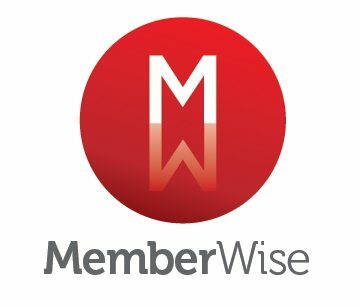 Great investment of half a day where I learnt so much – thanks to Memberwise and the Sponsor! I really enjoyed all the speakers and they covered a lot of information/insight in half a day! My first time at a MemberWise event and will certainly be attending future events! Best seminar I’ve been to, liked the honesty of the speakers & very informative. I really enjoyed the day and found the content enthusing and motivating! Richard is widely known as one of the leading membership and association sector thought leaders in the UK and is Chair of the MemberWise Network. He has worked at a senior leadership level for leading organisations including the Royal College of Psychiatrists, The Law Society, Royal College of General Practitioners, College of Optometirsts, Chartererd Institute of Educational Assessors and the British Dental Association. Richard provides advisory services to large number of leading associations and is Chair of the CPD Standards Office Independent Expert Advisory Board He also champions the professionalisation of the association and membership sector. With over 20 years working with Results Direct, Russ is responsible for all business strategy within the organisation as well as being its Chief Technology Officer. Mark maximizes member engagement & retention while increasing revenue for associations with year-round mobile engagement & event apps at Results Direct Mobile.